Sgt. William D. McKelvy, son of Mr. and Mrs. R. L. McKelvy, attended Manitou School. 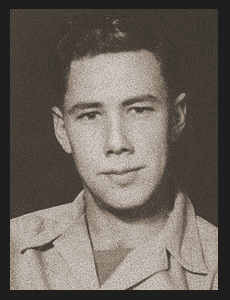 Entered Army in Sept.1943, trained in Camp Gruber, Okla.; served in New Caledonia, the Philippines, and Japan. Awarded Good Conduct Medal.